Well, here it is! Our 65th and final trip report of the year and our very last hike of 2018. 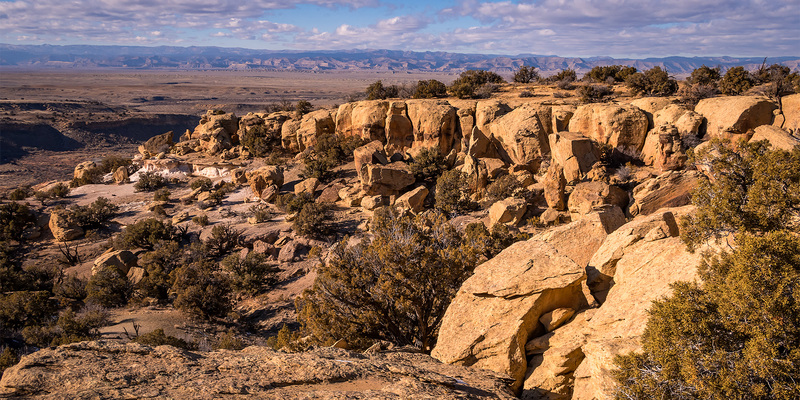 When we woke up on Sunday morning I had no plans scheduled for the day but I did know that I wanted to get out hiking at least one last time this year, so I looked at some maps and settled on the Westwater Mesa Loop Trail in the Utah Rims area just west of Rabbit Valley. Since it was pretty cold out this morning Diane and I waited until the the afternoon when it warmed up into the low 30’s to start our short drive to Utah and start hiking. 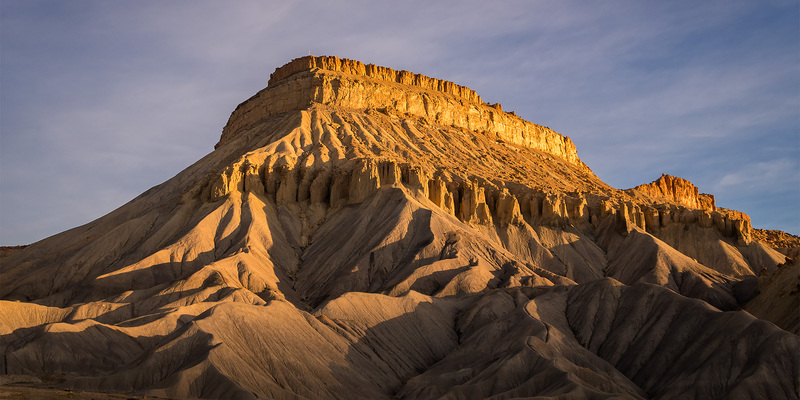 After getting off the interstate at the Westwater exit and then following the Kokopelli Trail for a short distance we parked at the edge of Westwater Mesa and started hiking. 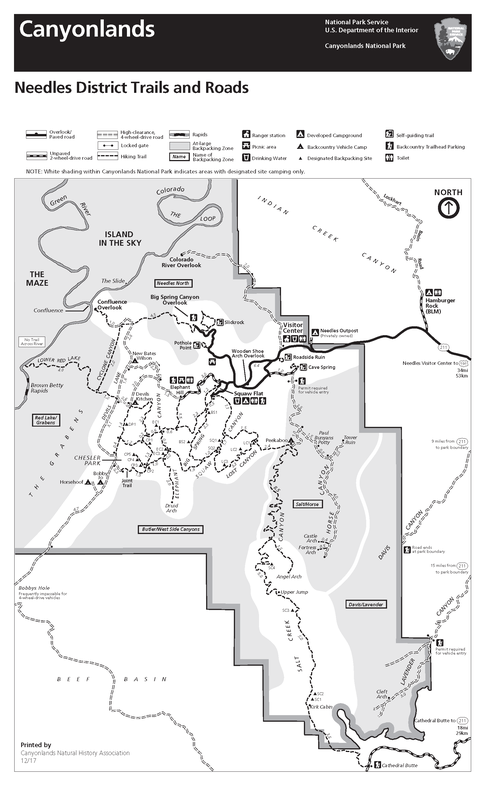 This trail is about 7.5 miles in length and pretty much follows the rim of the mesa most of the way with views over Bitter Creek, Westwater Creek and the Colorado River. It was a nice local hike to end the year with. Here’s to a great 2019! Salt Wash begins its journey near Thompson Springs at the southern end of the Book Cliffs just east of Sego Canyon. 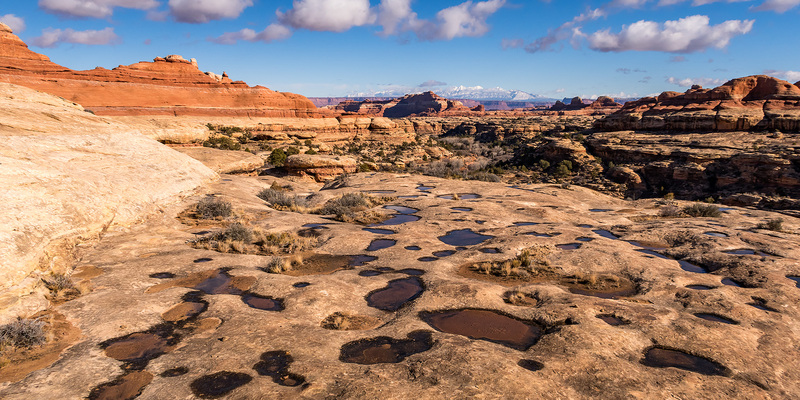 From there it meanders generally south across Yellow Cat Flat and joins up with Lost Spring Canyon inside the boundary of Arches National Park. 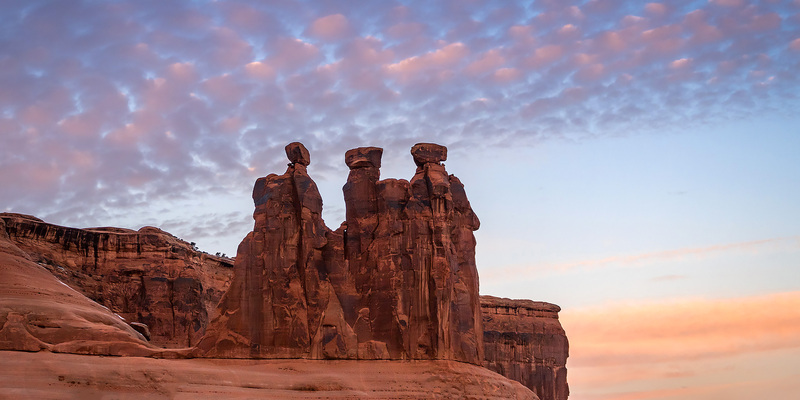 This desert wash eventually passes by the Wolfe Ranch near the popular trailhead for Delicate Arch as it enters Cache Valley and then carves a deep canyon through Dry Mesa just east of The Windows before finally reaching the Colorado River. 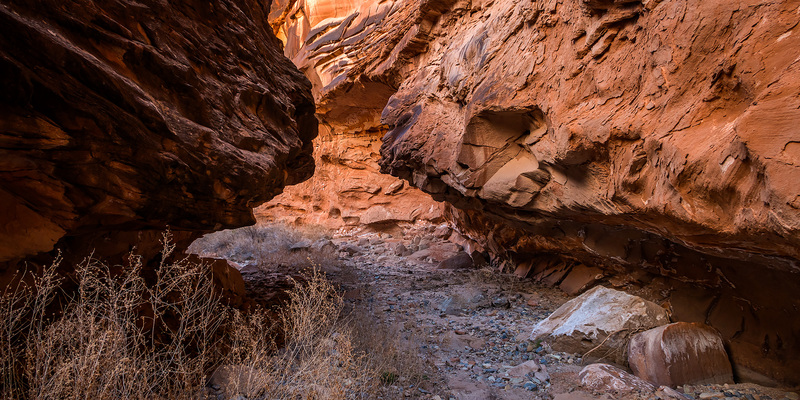 I have studied this particular canyon on maps over the years and thought about hiking it a number of times before, but I always seem to find somewhere else I’m more interested in going instead. I haven’t found much information about hiking this canyon and wasn’t sure what to expect, but I guess that is what intrigued me about this location in the first place. For a change, Diane and I actually stayed home this weekend! It seems like it’s been a long time since I’ve done that! We went for a bike ride along the Colorado River on a new section of the Riverfront Trail on Saturday and then went on a hike on the Hoodoo Trail in the Little Book Cliffs on Sunday morning. Since rain was predicted for the early afternoon we got an early start so we would hopefully be finished with the hike by the time it arrived. I had hoped the nice clouds in the sky would stick around as we left home shortly after sunrise, but the sky quickly became completely overcast after we started hiking and stayed that way for the rest of the day. Since it was looking pretty gloomy out I didn’t end of taking very many photos, but I’ll share the ones I did take below. We did end up seeing two wild horses in the canyon, but they were too far away to get a photo of.